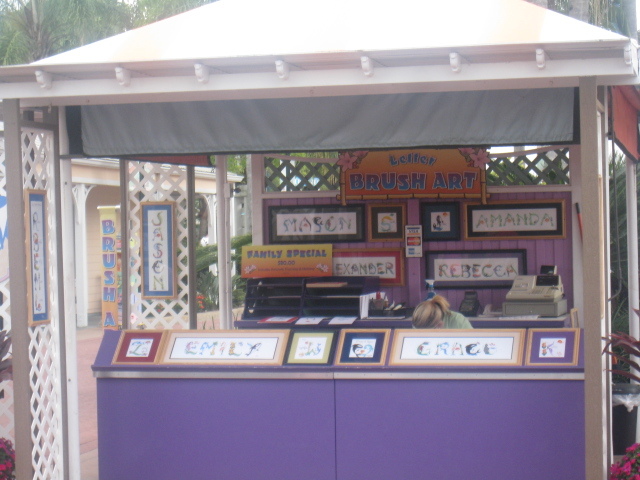 Just across from the Face Painting and Tattoo stall you come to the Brush Art stall. This is a great place to buy mementos of your holiday or presents for others for Christmas, Birthdays or other special occasions. 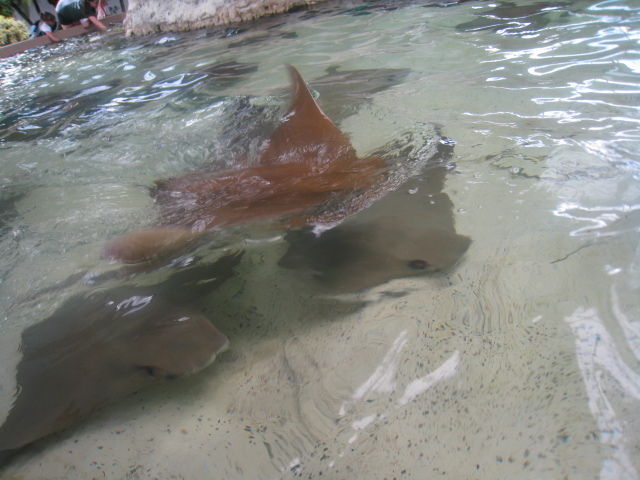 One of the main attractions in Key West is the Stingray Lagoon which is always busy. There are over two hundred stingrays here some with a wingspan as much as five feet. 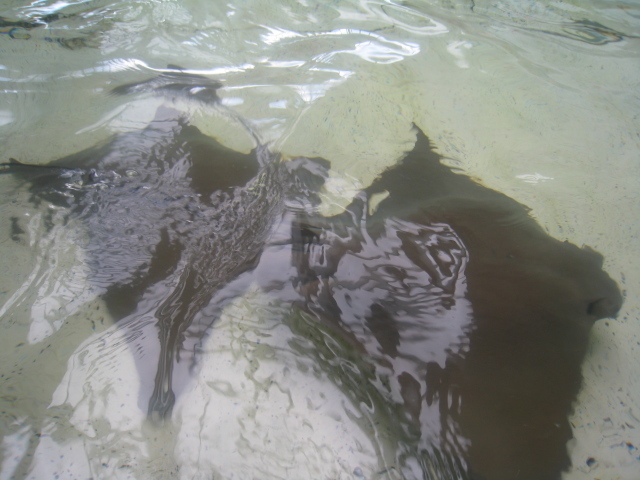 You just hold your hand in the water and they will float past and you can touch their beautiful velvety bodies. 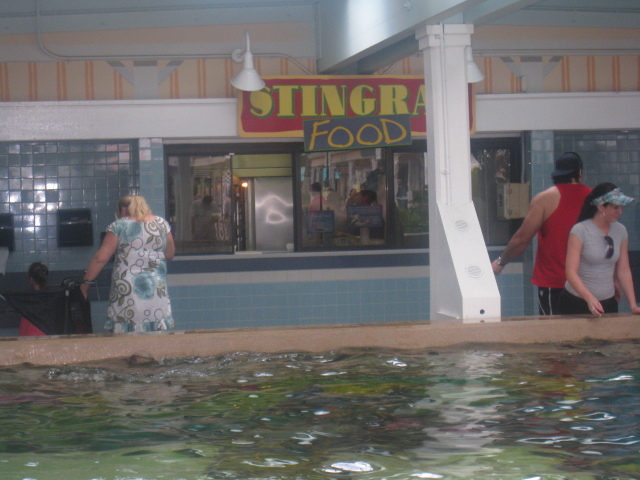 It is possible to buy food for the Stingrays which encourages them even more to come towards you. 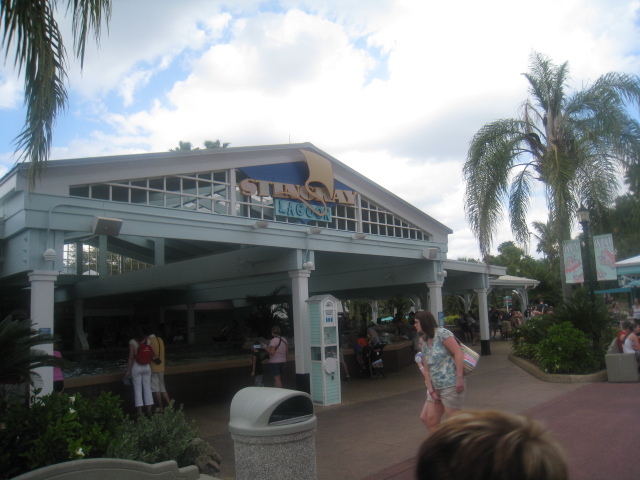 There are always plenty of Seaworld experts here on hand to give you lots of information. If you visit the nursery you can see the babies hiding under the sand. For my daughters 10th birthday one of her presents was a Stingray Up Close tour which the two of us went on. 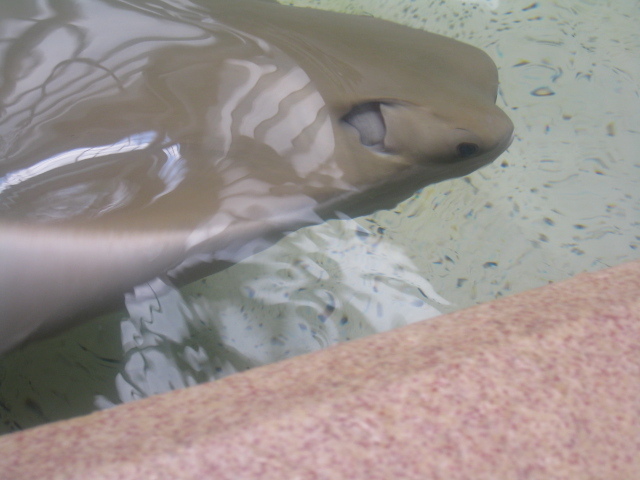 You go behind the scenes and learn some fascinating facts as well as touching a bamboo shark and feeding the stingrays. I would recommend this tour but you usually need to book in advance. 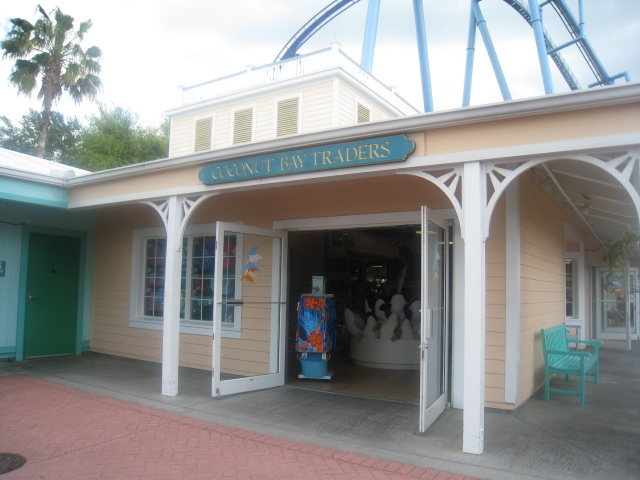 This is just one of the many tours at Seaworld details of which you will find on their website. 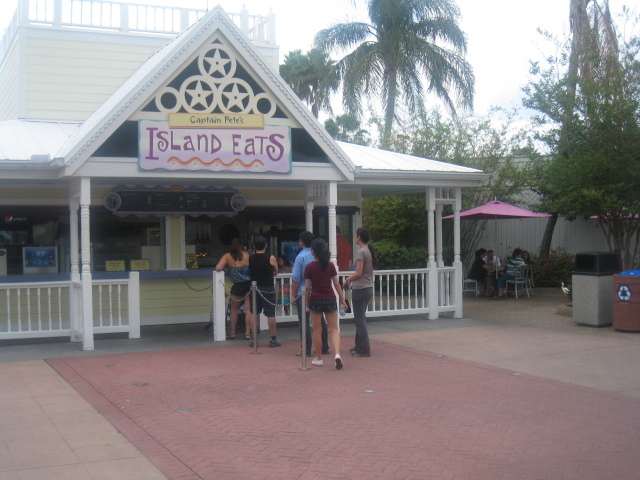 We nearly always stop and eat at Captain Pete’s Island Eats which is better known as a “snack shack”. There are often quite long queues here but the service is usually fast so you do not need to wait too long. 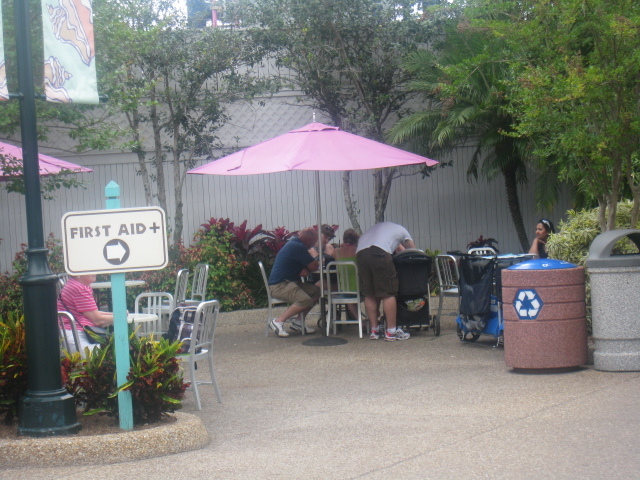 If you want shade you can take your food into the covered area by the Face Painting stall otherwise you can sit in the outdoor dining area near to the first aid unit. 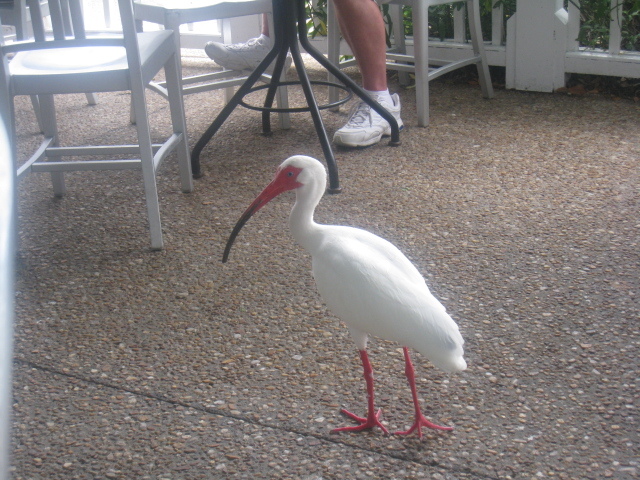 However wherever you sit you have to be prepared to share your food with the additional diners the white birds that wander under the tables looking for scraps of food. There is a good selection of snacks including a Nacho Platter, Hot Dogs, Turkey Legs ( must admit I have yet to try these) as well as Chicken Fingers and Fries. Here you can buy Pepsi and water as well as beer and cocktails. Whatever you have leave room for a Funnel Cake they are to die for! 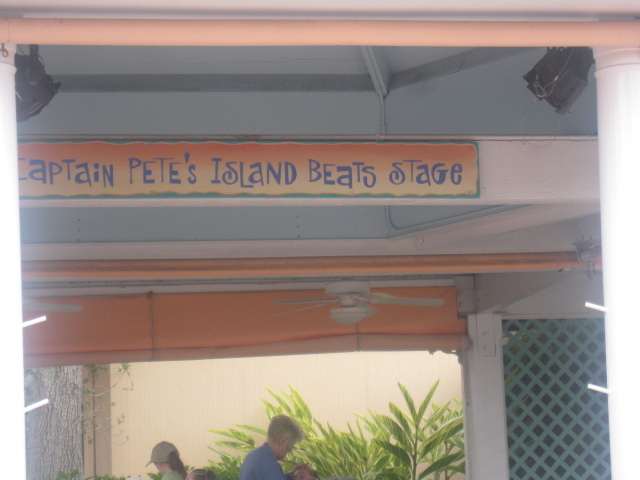 At various times during the day there is live music played at the nearby Captain Pete’s Island Beats stage this is great to listen to as you enjoy your food. 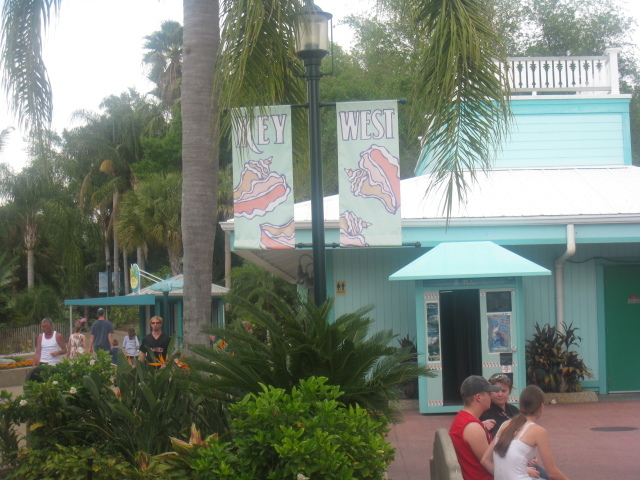 There is a lot to enjoy at Key West and Turtle Point I hope you enjoy it as much as we do. Viewed 2534 times since 3 November 2014.